A decision issued by Investigating Judge Ky Rithy on Friday said that it was compulsory to gather evidence and question all relevant witnesses before the probe could be concluded. Mr Sokha was arrested in September 2017 after authorities accused him of colluding with the United States to topple the government; he was charged with treason over a 2013 video in which he allegedly said that the US has assisted him in planning his political career. Following this, the Supreme Court in November 2017 dissolved the CNRP and banned 118 of its senior members from politics for five years. One of Mr Sokha’s lawyers, Chan Chen, yesterday said he was disappointed with the decision, noting that it was the third time Judge Rithy had refused their requests. “Most of the witnesses gave answers which did not negatively affect my client and therefore I think the judge should conclude the investigation,” he added. In May 2018, eight witnesses were called in the case, mostly senior officials from non-governmental groups advocating for human rights, and CPP spokesman Chhim Phal Virun, who was Mr Sokha’s former deputy at the Cambodian Centre for Human Rights. Judge Rithy has also issued a summons to Kong Korm, a former CNRP top adviser, to appear in court on January 23 as a witness in the case. Mr Korm yesterday said that he is ready to appear in court for questioning. 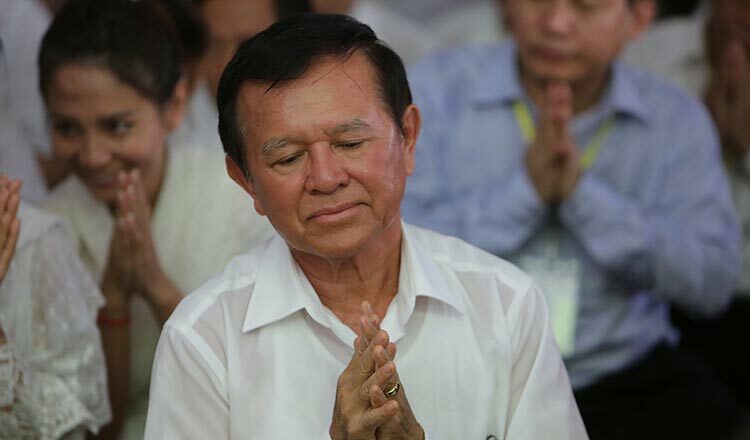 “I am in no position to claim that Mr Sokha is innocent and I think the court will decide that,” Mr Korm added.